A spider bite, also called ‘arachnidism’, is an injury which is a result of a spider’s bite. The effects of the bites are often not severe. Most bites result in mild signs around the area of the bites. Rarely they may produce a severe pain or a necrotic skin wound. Let’s discover some useful home remedies for spider bites with us on the site Healthy Guide! You need to remember that if you get bitten by a poisonous spider such as a brown recluse spider or a black widow, opt for immediate medical attention. In addition, if you are not sure whether the bite was from a posionous spider, you should look for a professional medical help. Spiders do not feed on humans like some other types of biting insects. Spiders often bite as a defense mechanism. Most spider bites, medically called ‘arachnidism’, are not really a concerning issue. They can lead to mild signs and symptoms like limited redness, inflammation, itching, and pain. Depending on the type of spider, the signs of this issue may last a few hours to several days or even weeks. Nevertheless, bites from poisonous spiders like brown recluse spiders or black widow spiders that live in undisturbed areas are harmful in general. 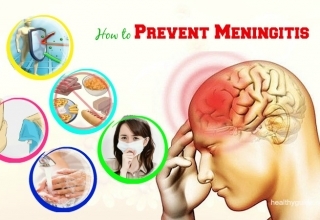 In such cases, it is suggested to get medical help, particularly if you have any of the symptoms like intense pain and stiffness, severe swelling, fever and chills, muscle spasms, vomiting, abdominal pain, light headedness, and difficulty breathing. At times, the bite may not appear to be severe right away but may become serious after some time. When curing spider bites, the major goal is to neutralize the bites and get rid of any toxic substances in the body. Many useful home remedies for spider bites can help a lot in easing the symptoms and promoting healing. If the signs and symptoms remain after a few days, see a doctor. Remove piles of rocks from the area in your garden. Discard old clothes, boxes, and other unwanted items from storage regions. Keep spiders out of your house by installing tight-fitting screens on doors and windows. Inspect and shake out gardening tools that you do not use for a while. Be extra careful as cleaning out garages, sheds, attics, basements, and crawl spaces. To prevent spider bites, try wearing a long-sleeve pants and shirt, a hat, boots, and gloves when handling stored boxes or firewood. Try to memorize the spider’s appearance that has bitten you. This can aid a lot in your own treatment plan. Monitor the bite for about 2 days to keep a check on how well the signs are healing. Here are the best home remedies you can make use at home with the support of natural ingredients that are easy to find right in your kitchen. Let’s check out how to use them to reduce signs and symptoms of spider bites naturally! 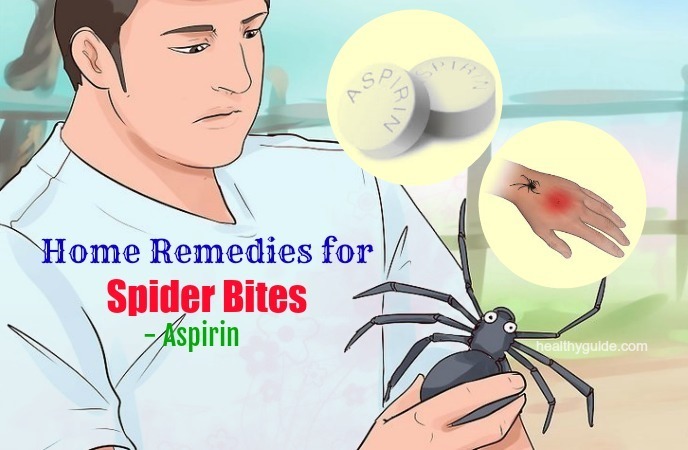 The first one among the best home remedies for spider bites on ankle, legs, arms, and eyelid you can make use is to use aspirin. Soak one or two aspirin tablets in a little water to create a paste. Apply this paste on the infected area. Reapply this method one or two more times, if necessary. 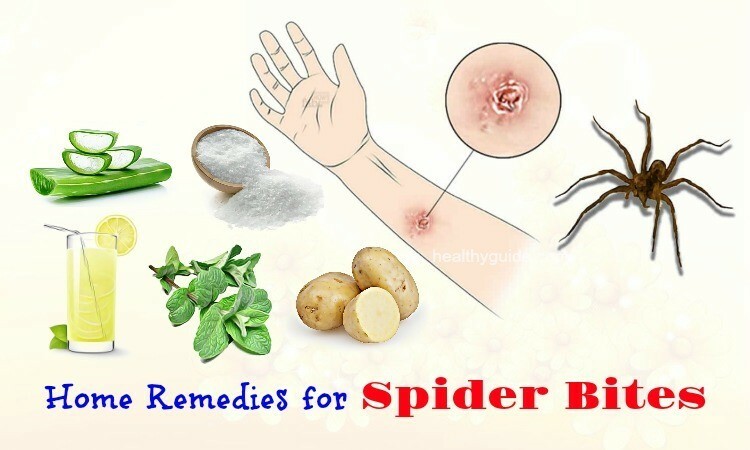 Another easy yet super useful one on the list of home remedies for spider bites on legs, arms, ankle, and eyelid is to use a starchy potato. It can bring down the inflammation and itching, largely due to its soothing and anti-irritating properties. 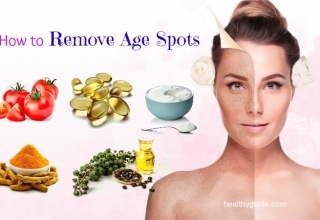 Besides, it can help to keep the infected area moisturized to encourage fast healing, according to a research . Peel one large-size potato and rinse it thoroughly. Place a handful of the wet potato shreds in a piece of thin cloth and securely tie it. Clean the infected area with rubbing alcohol, and then place the potato poultice on it. Let it stay till the potato starts to dry. Activated charcoal is also one of the best natural home remedies for spider bites on legs, ankle, arms, and eyelid. It contains an innate absorption property that can aid in drawing out and removing toxic substances from the body, according to a study . 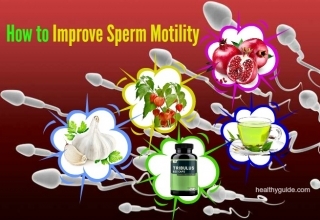 After the toxic substance is out of the body, tenderness and inflammation will be reduced automatically. You can also try making a paste of some activated charcoal with a little water. 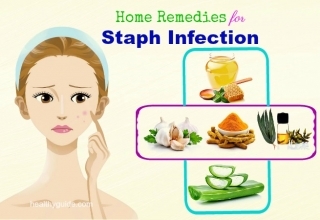 Apply it on the infected area after using warm water to clean it thoroughly. To keep the paste in place, you should place a bandage over it. 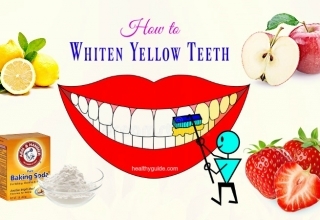 Apply this method every three hours for the first day to neutralize the toxin. If it is necessary, try applying the remedy the following day. Salt is also a great one on the list of home remedies for spider bites on arms, legs, ankle, and eyelid thanks to its anti-inflammatory and antiseptic properties, according to a research . It can draw the venom out of a spider bite effectively to boost the recovery process. 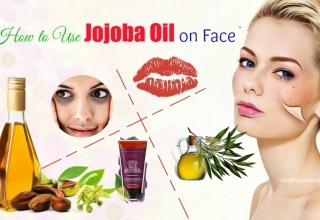 Moreover, it can help to reduce redness and inflammation. Use lukewarm water to rinse off the infected area thoroughly. Bandage this washcloth to the infected part for about 2 hours, and then remove it. 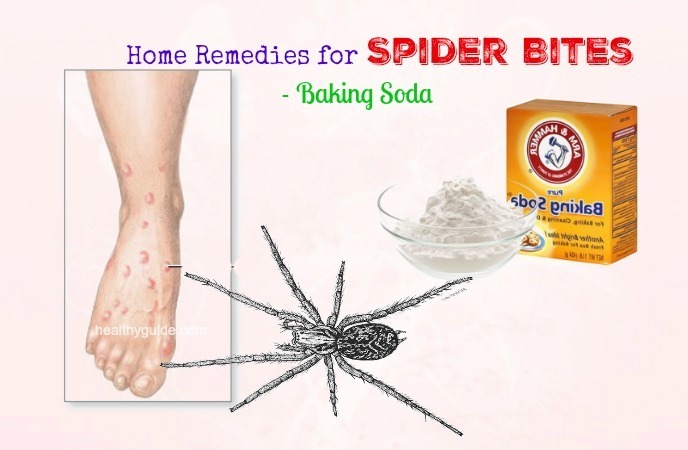 Baking soda is also a useful one among home remedies for spider bites on legs, arms, ankle, and eyelid. This alkaline substance can aid a lot in drawing out the venom, which will help to relieve inflammation, itching, and pain. Use a cotton ball to apply this combination on the infected area within about five minutes. 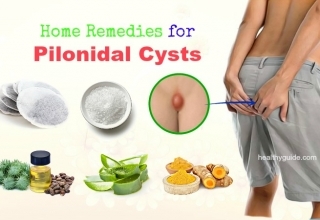 If the discomfort persists, reapply this method after 2 – 3 hours. When being bitten by a spider, the first thing you need to do is clean the wound using water and mild soap. Then, use an ice pack to apply directly onto the infected area. The cold temperature can aid in numbing the nerve endings, soothing the itching sensation, as well as reducing inflammation and swelling. You can try placing the infected area under cool running water for 2 – 3 minutes. Alternatively, try wrapping some ice cubes in a thin towel and put it on the infected area within about ten minutes at a time. Reapply this method as needed during the initial 1 day. Note: Never place ice directly on the skin. 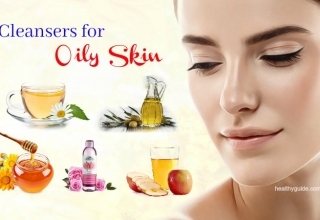 Keep reading this article to see more useful natural home remedies for spider bites on arms, legs, ankle, and eyelid that may work effectively for your own case without requiring the use of any drug, pill, or medical intervention. What’s more quality home remedies for spider bites on ankle, legs, arms, and eyelid for your case? Come with peppermint right away! The anti-inflammatory and analgesic properties of peppermint are perfect for reducing swelling as well as relieving pain and inflammation. Itching sensation from spiders’ bites can also be reduced with this herbal remedy. Extract the juice from fresh leaves and use it to rub onto the wound. After twenty minutes, cleanse with cool water. Perform for one or two times more if necessary. Another choice is put few drops of extracted oil onto the wound for 2 times throughout the day. Note: Remember to test for peppermint oil allergy by doing a sampling test before applying. You can also make use of the fresh aloe vera gel that can help a lot as one of the best home remedies for spider bites on eyelid, ankle, legs, or arms. This gel has natural anti-inflammatory, antiseptic, as well as soothing properties that can aid a lot in reducing itching, swelling, and pain. It can even support a lot in faster healing by keeping the infected area well-moisturized. Prepare 1 aloe vera leaf and rinse it thoroughly. Use the fresh aloe vera gel to apply directly onto the infected area. Note: Store the remaining gel in the fridge. 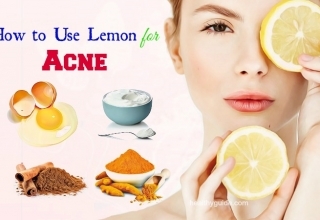 First, you can try taking a piece of lemon and use it to rub against the infected area within about two to three minutes. Wait for another five minutes before rinsing it off. Alternatively, try extracting the juice from a fresh lemon and use it to apply directly onto the infected area with a fresh cotton ball. Allow it to dry and then use lukewarm water to rinse it off. Follow either of these remedies 2 – 3 times throughout the day to get the best results as desired. 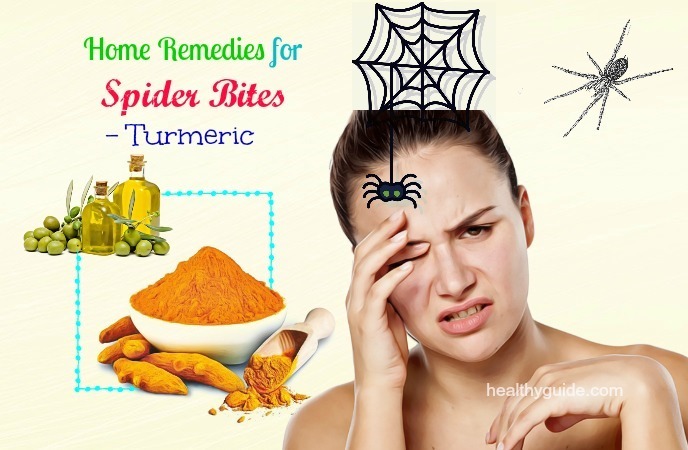 Turmeric is a great one among home remedies for spider bites on eyelid, ankle, legs, and arms naturally at home. First, you can try mixing 1 handful of thoroughly rinsed Indian lilac leaves (neem), 1 tbsp. of turmeric powder, and some water in a blender to create a thick paste. Use it to apply directly onto the infected area. Let it stay within about twenty minutes and then use warm water to wash it off. Alternatively, try mixing one or two teaspoons of powdered turmeric with enough olive oil to create a paste. Use this paste to apply onto the infected area. Let it stay still within about ten minutes before using warm water to rinse it off. Repeat either of these remedies 2 – 3 times throughout the day. Another wonderful candidate to cure your bite is wintergreen essential oil, which is famous for the pain-relieving properties it brings about. These elements make itself the best selection to handle your itchy and painful spider bites. You just need to try blending the wintergreen oil with your carrier oil if it is available. But why? That is because using it along just irritates the skin. Only avail a small amount of wintergreen essential oil before starting the remedy. It is best to keep about 1 – 2 drops and then combine it into your essential oils. They could be the almond, coconut, olive, or jojoba oil. Rub the combination into your skin for faster relief. Similar to some home remedies for spider bites on arms, legs, ankle, and eyelid we have mentioned here, witch hazel is also very famous for its astringent and healing properties. In other words, any bug bite of all types, even the spider bites, the astringent and soothing properties of the hazel can make itself a fantastic cure. Try to apply the witch hazel to your bite area a few times throughout the day for the best relief of your inflammation, redness, and itchiness. 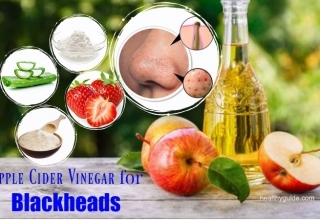 Or if not, let’s try out some anti-itch cream products as they also have the apple cider vinegar, honey, baking soda, and witch hazel. Its leaves can reduce the itching feeling effectively from bites of spiders. You can try taking few crushed leaves to directly rub onto your wounded area. All of the information and advantages about basil come straight from the actor Clint Walker . 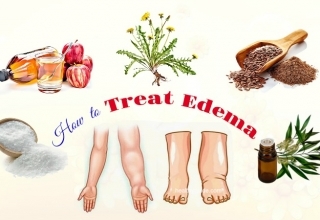 According to him, it is considered one of the best home remedies for spider bites on eyelid, ankle, arms, and legs, particularly for a recluse spider with the brown colour. You can try using the basil plant oil or basil essential oil to use externally or internally. If you live in a region where there are a lot of spiders, you might love to store a big basil oil container in your fridge. So if it occurs, then try taking instant action by growing this plant right in the garden of your home. Try making basil tea several times throughout the day and then consume it up. Extract the basil oil to create your own tea. Carefully clean your wounded area before putting basil essential oil in your bite area, or merely the oil from the plant you grow. Then, using a pad to tape over the injury and make sure to change it 3 – 4 times throughout the day.